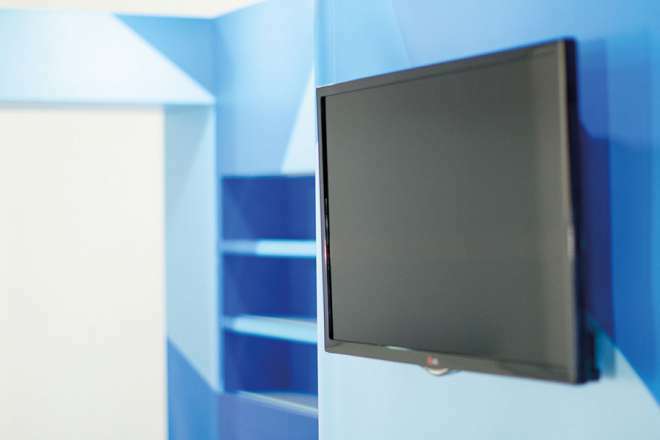 Television holder can be added into any part of your stand design. 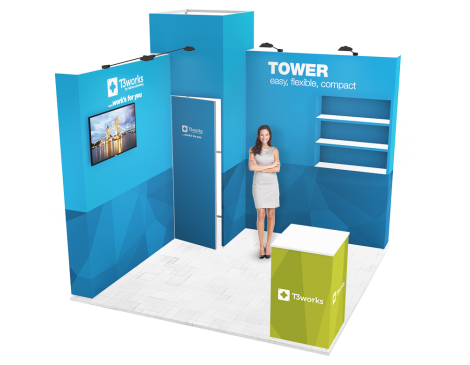 Door is a part of the continual print of the stand, thus is invisible for common visitors. 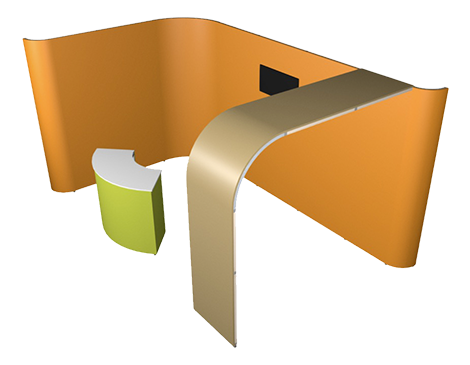 As a result, it does not distort the overall impression of the stand and as a bonus provides some security. 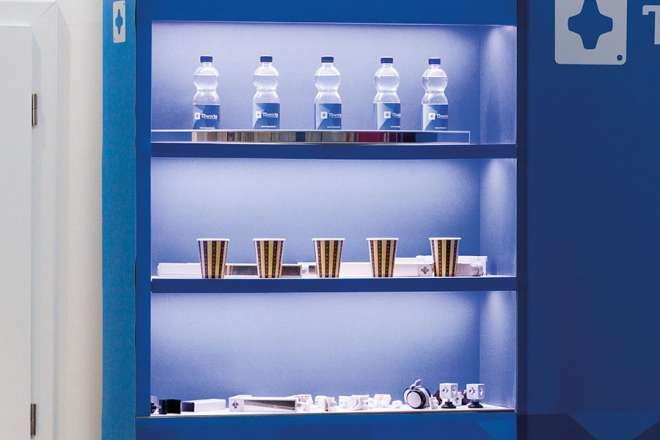 Retracted or extended shelves can be adjusted to carry everything you need, while preserving a good impression. 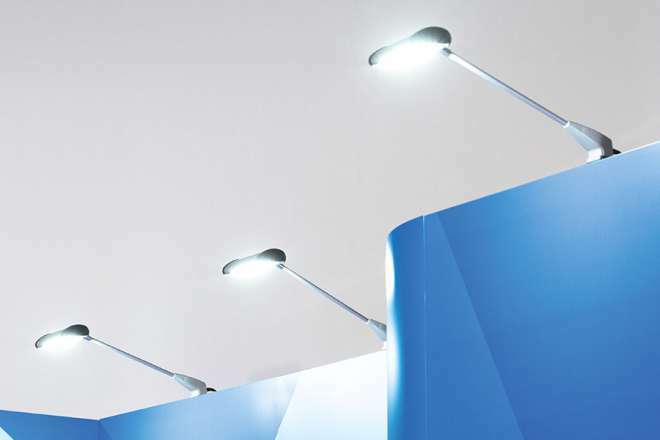 Lighting of the stand with LED lights will ensure a spectacular first impression without having to deal with overheating or any breakage. 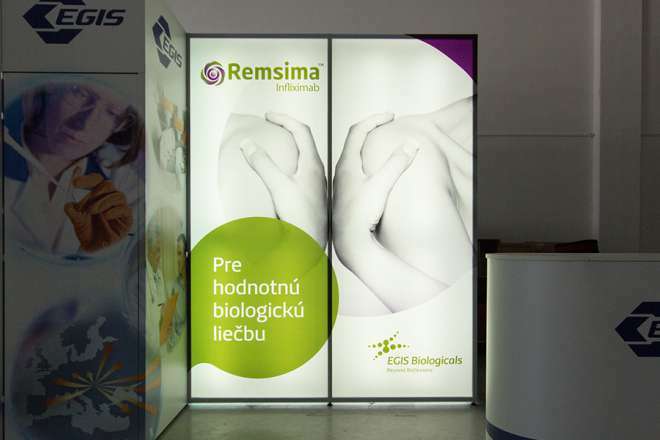 Improved appearance of your stand can be enhanced by its partial or complete illumination with LED tubes. If you need to illuminate only certain parts of the stand (shelves, counters, etc. 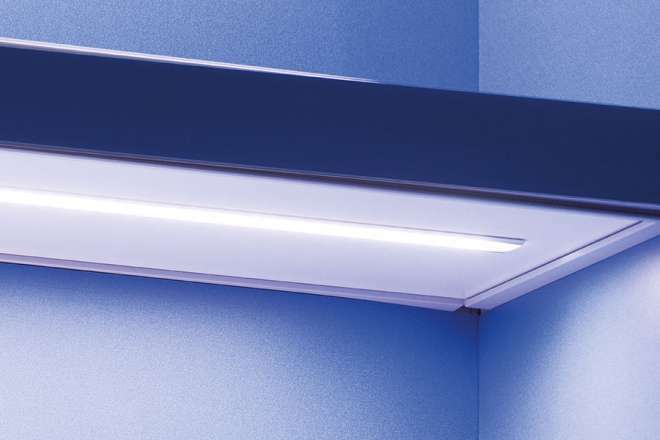 ), you can use LED stripes. 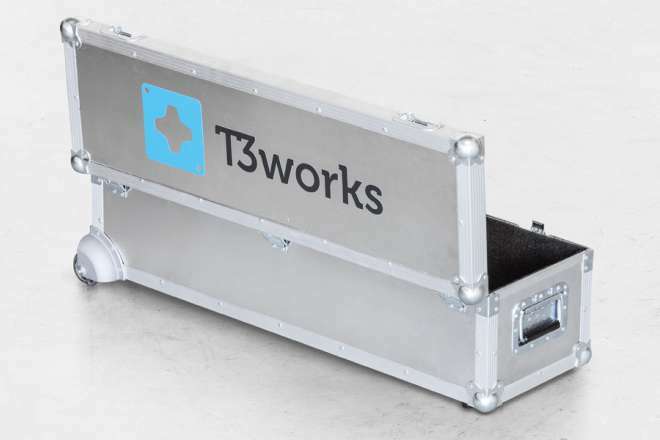 Cases have wheels, so you do not have to struggle with carrying of the exhibition components. 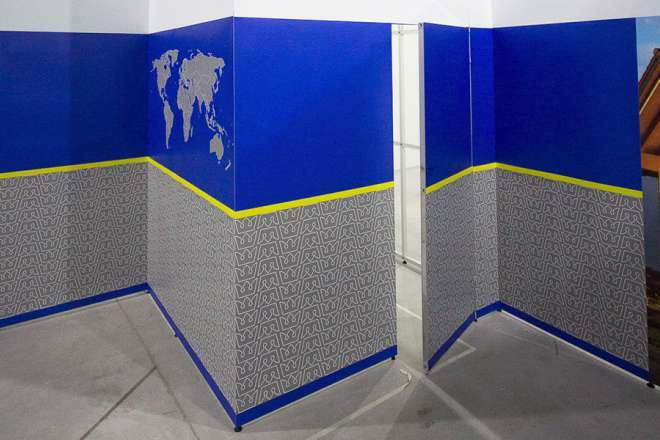 They also protects profiles against damage during transport and you can remain calm and assured that everything will arrive to the venue in good condition. 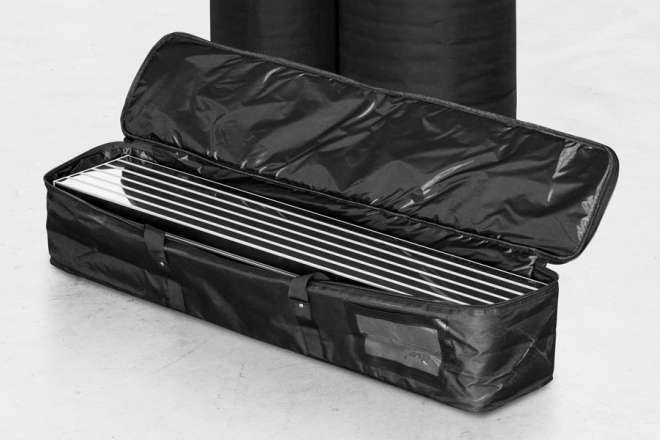 Our lightweight textile transport bags are space-saving and reasonably priced. 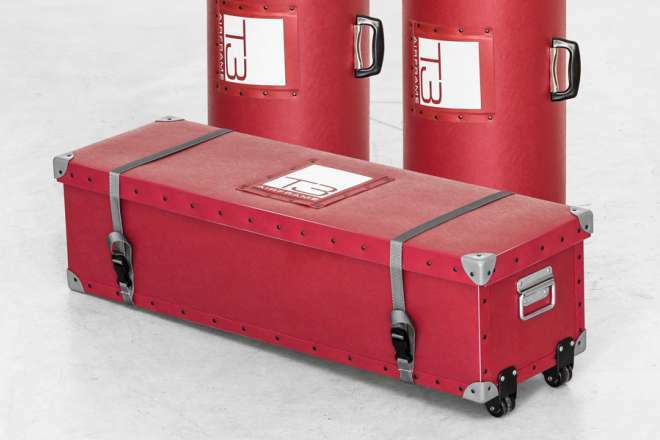 An entire stand can be carried as ordinary luggage thanks to our specifically designed flight cases.